If you like getting out, exploring old buildings, examining old-time furnishings, meeting characters of the past, or pondering the historical events that shaped our nation, you'll find something of interest at Fort Scott National Historic Site. Fort Scott's unique history joins the stories of westward expansion and the Civil War — two extremely compelling periods in American history. This frontier fort holds stories from the 1840s of American Indians displaced from their lands, settlers heading west in search of opportunity, traders hoping to profit from their dealings with Mexico, and Americans looking to expand territory to the Pacific Ocean. In the 1850s, Fort Scott witnessed election fraud, land disputes, border violence, and conflict over questions of slavery during the Bleeding Kansas era. During the Civil War, the military post provided supplies vital to the Union Army, medical care that made the difference between life and death for many soldiers, and training to diverse troops — American Indians and African Americans — including the first African American regiment to see combat during the Civil War. Today, 20 historic structures, 11 of which are original, stand as silent witnesses to this bygone era. Their distinct architectural features reflect the desire of Fort Scott’s designer, Thomas Swords, to make this the “Crack Post of the Frontier.” Within these buildings, you'll find 31 rooms containing furnishings, dishes, and other intriguing artifacts that reflect the lifestyle and values of those who lived here. Check out the bunk beds in the dragoon barracks — where two men slept in each bunk. Peruse the Staffordshire Millennium china used to entertain guests at formal dinners, the surgeon's field surgery set, and the clerk's desk used to process military orders and communications. If you can, plan to visit when the fort springs to life with the sights, sounds, and smells of a frontier outpost. Artillery demonstrations, soldiers on horseback, the smell of bread baking, and the sight of laundresses scrubbing clothes on a washboard all greet visitors during summer weekends and special events. A summer series of evening tours offer insight into the site's history. Kids can take part in the junior ranger program, attend the weeklong children’s workshop offered each summer, take part in spring education programs for school groups, and periodically, enjoy programs that feature children's games. 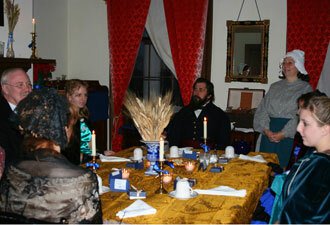 You won't want to miss the annual candlelight tour on the first Friday and Saturday of December. More than 700 candle lanterns illuminate the site, and the fort fills with actors dressed in period costume as they reenact various episodes of Fort Scott history. 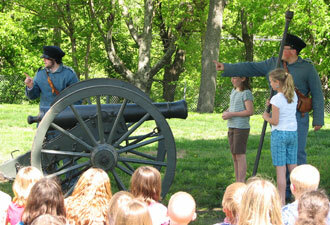 This year's tour will highlight the fort's role in the Civil War. 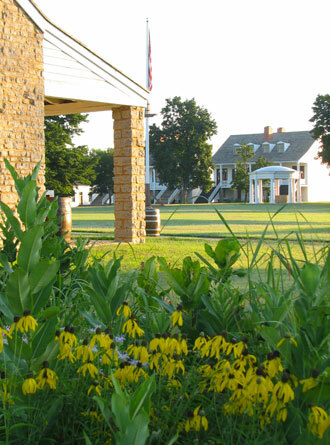 Whatever your fascination, make plans today to visit Fort Scott National Historic Site.